This Photoflex Series 900 Speed Ring will allow mounting a Broncolor Compuls, Flashman, Pulso, Primo, or Twin flash head to any shaped softbox. 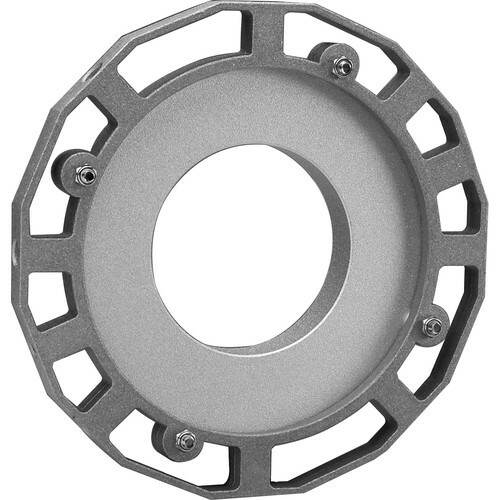 OctoDome rotating connectors are made from heat resistant cast aluminum for durability, and they allow rotation while mounted to your fixture with your choice of any shaped softbox. Box Dimensions (LxWxH) 8.7 x 7.8 x 1.8"